World of Tanks is known across the world as the free-to-play powerhouse, capturing the hearts and minds of countless people. Yet, it also has a full set of media beyond the game, one being the new World of Tanks: Citadel comic book series. Serving as a prequel to the previous Roll Out miniseries, World of Tanks: Citadel takes place before D-Day as two opposing tank crews, one German and one Soviet, fight for survival at the Battle of Kursk during The Second World War. Heading up this effort is legendary comic writer Garth Ennis, best known for his work on Preacher, Hellblazer, and Punisher. Sitting down for a brief but exciting interview, CGMagazine got to the bottom of why he is headlining the series, along with what fans can expect when they pick up the books based on the popular franchise. CGMagazine: What drew you to the project, and what does this series add to the World of Tanks universe? Garth Ennis: I enjoyed writing the first series last year, so the opportunity to do another featuring some of the same characters was obviously an attractive one. The story is set a year earlier at the Battle of Kursk, so the action shifts to the Eastern Front. Kursk saw the Germans launch a major, two-pronged offensive which rapidly turned into one of the biggest tank battles of all time. Some of the latest tanks were involved: the Tiger, Panther, Ferdinand and SU-152, alongside regular types like the T-34 and Panzer III and IV. Some of the worst tanks also saw service; the Russian protagonists of our story are stuck with the wretched British Matilda. CGMagazine: You worked with Wargaming on World of Tanks – War Stories, where did you start when forming your concepts about the universe? 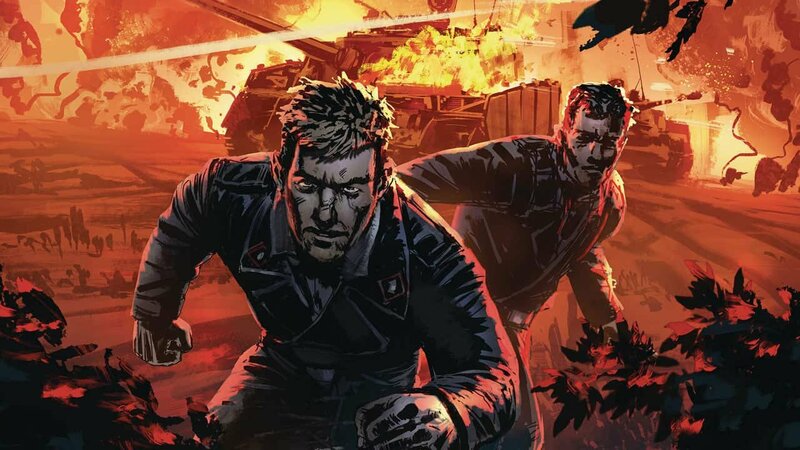 Garth Ennis: The only way I was able to do it was to write a straight, historically accurate war story, much like I do in my regular creator-owned war comics. If there’d been any fantasy elements or anything that prevented me from sticking to the historical record, I’d never have gotten involved. Fortunately, World of Tanks doesn’t present any such problem. CGMagazine: How much creative freedom did you have on the project? Garth Ennis: The only real problem was the rule against depicting swastikas, which gets you into historically dubious territory when you’re dealing with the Germans in WW2. Fortunately, they tended not to use the symbol on their tanks, so you can work around it without contradicting anything that would believably appear on the battlefield. With aircraft and warships that wouldn’t be an option, which is really why this is the only title I could do for Wargaming. CGMagazine: You have worked on some of the most intense series in modern comics, were you able to bring this energy to the World of Tanks project? Garth Ennis: Sure. This one fits in well with the rest of my war series; War Story, Battlefields, Johnny Red et al. CGMagazine: For people not already invested in the WoT game, what would you say to get them to read the comic series? Garth Ennis: If you like tanks knocking hell out of each other, and interesting characters doing their best to survive the experience (often by the skin of their teeth), this is the one for you. You might also be interested in some of the historical aspects of the story. One of the Russian tank crew in the story is driver Natalya Pulkhova, known as “Ginger” because of her hair. The Russians committed many thousands of women to combat in WW2, Ginger’s story is based on that of an actual Soviet veteran. 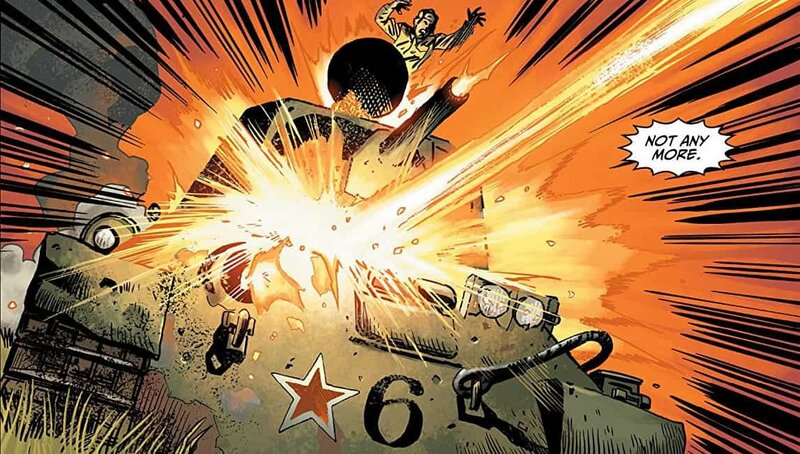 CGMagazine: Will the stories told in the comics find a way back to the World of Tanks single player, or are they a different cannon? Garth Ennis: Not really my department. I wasn’t asked to fit any particular aspects of the game into the story, so I imagine fitting the story to the game would be down to the people who handle the game.